It can be convincingly argued that Cadillac’s nearly 115-year history has been punctuated with at least as many ups and downs as a Six Flags rollercoaster. The highs have been spectacularly high, and the lows scaringly so, with the transitions between them nearly as precipitous. Starting with the winning of the Dewar Trophy for the first time in 1908 for demonstrating true interchangeability of parts and a subsequent award only four years later (1912) for the introduction of the electric self-starter and its integration into the first full-vehicle electrical system, Cadillac quickly established itself as the “Standard of the World”. In 1915, it introduced the first mass-produced V-8. 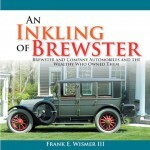 Recognizing the growing influence and importance of the custom body in its market segment during the late Teens and early Twenties, Lawrence Fisher, Cadillac’s general manager and one of the seven Fisher brothers of Fisher Body fame, successfully lobbied GM’s top management to obtain the authorization to purchase (in 1926) the Fleetwood Metal Body Company of Fleetwood, Pennsylvania; one of the most highly regarded custom body firms in the industry to be a captive, “in house” custom coachbuilder exclusively for Cadillac, just as Rolls-Royce of America had done with Brewster & Company at the same time. The development and introduction of the synchro-mesh transmission as a Cadillac exclusive in 1928 was a technological breakthrough that greatly simplified the gear shifting process and was quickly shared with the rest of the industry. Two years later Cadillac was again in the headlines with its range of supercars, powered by a truly magnificent 452 cubic inch narrow angle (45 degree) V-16 engine that established unprecedented smoothness and silence of power delivery. Forty-five degrees is an ideal angle for a V-16 as the inherently evenly spaced firing sequence interval imparts a power impulse to the crankshaft every 45 degrees of rotation, resulting in incomparably smooth flow of power. A year later its somewhat smaller companion V-12 was introduced. Essentially a V-16 with two cylinders cut off each end, it nicely bridged the sizable pricing gap between the “bread and butter” Fisher-bodied V-8 line and the top of the line Fleetwood-bodied V-16 range. The V-12 used bodies from both sources. A new, state of the art V-8 was introduced in 1936. Its one-piece cast iron block and crankcase stretched the limits of the mass-production foundry technology but substantially reduced costs while eliminating potential oil and coolant leaks, thereby increasing engine life to the point where it quickly developed the reputation of being “bulletproof.” Indeed, it would serve virtually unmodified in a number of military vehicles, including armored combat vehicles, for the U.S. Army and its Allies in World War II. With the available option of GM’s fully automatic Hydra-Matic transmission in 1941, Cadillac immediately redefined the concept of modern, luxury motoring. The 1948 model year saw the introduction of another new V-8, the trend-setting overhead valve 331 cubic inch design that would set the basic architecture for virtually all American V-8 engines for the next four-plus decades. 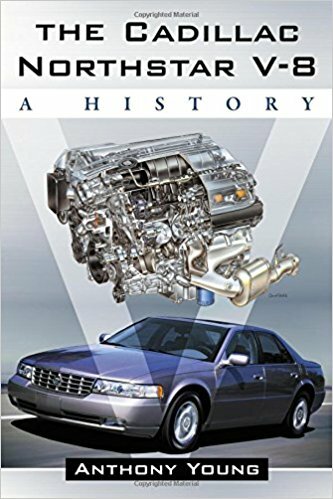 A lot has been published about Cadillac in general over the years, but other than relatively short magazine articles, very little has been devoted to the development and adoption of specific components, so this book covers new ground. Following a 24-page Introduction that is essentially a condensation of the highlights of Cadillac’s history, the next thirty-some pages cover the development and introduction of the premium optional Corvette LT5 DOHC 32 valve, four valve per cylinder engine that was the heart and soul of the top of the line ZR-1. hy so much space in a 200-page book devoted to a Corvette engine in a book purportedly about a Cadillac engine? Quite simply, the LT5 was the Northstar’s immediate corporate predecessor and significantly influenced its design. Had it not been for the LT5, there might very well never have been a Northstar. 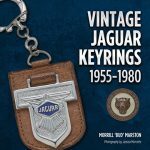 Author Young has written a book devoted to the LT5 and the ZR-1, and other iconic engines as well, so there can be little arguing that he is an acknowledged authority on both and their relevance to the Northstar story. Young explains that while Interviews with the key players were not conducted as part of his research, that research is sufficiently thorough that names are named and proper credit is given in a timely manner throughout the book. The amount of space devoted to the design, development, and manufacture of the first-generation transversely mounted Northstar is surprisingly short, especially so considering the space devoted to the LT5, which never powered a Cadillac. As the owner of several first-generation (FWD) Northstars and a genuine enthusiast of them, this was a bit of a disappointment to me. The amount of space devoted to the substantially modified, longitudinally mounted Northstars is much greater, but this is understandable as there were a good number of modifications entailed in the transition, virtually all of which are discussed. This resulted in an essentially new engine that was quite different from the one introduced in 1993, rendering that first generation to be but a prelude to the truly interesting but not widely known developments yet to come. An unexpected bonus is the inclusion of the story of the development of the XV-12 engine that was quite literally the centerpiece of the 2002 mid-engine Cien concept car. This engine was based on the Northstar V-8 architecture and was a logical development of it, and a most intriguing “might have been” that came very close to being a production reality but was cancelled almost at the very last minute due to an economic downturn and GM’s related bankruptcy. An additional bonus is the story behind the fabulous Sixteen show car of 2003, with its modern incarnation of Cadillac’s first-generation V-16 of the early to mid 1930s. Its heritage with that elegant seventy-year-old engine is unmistakable and deliberate, but this updated design displaced 827 cubic inches and developed over 1,000 horsepower and 980 lb-ft of torque on the dynamometer. I find most summations of racing activity that are ancillary to the main story to be deadly boring recitations of names and statistics despite their author’s best attempts to inject excitement and drama. The chapter on Cadillac’s official involvement in racing is mercifully short in that regard. For once I’ll say I would have liked to see a bit more information, particularly on the causes for DNFs and other “back of the pack” final standings. 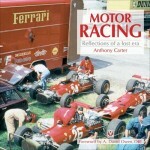 Early in the chapter it is explained that “The engine of choice for this racing was based on the DOHC 48-valve Northstar V-8 with a 4.0 liter displacement” (p. 144). Hmm, 48 valves. Six valves per cylinder? Perhaps the author was confusing it with the Cien’s Norhtstar-based XV12, which is a 48 valve design, as he wrote that sentence. However, that’s one that obviously slipped past the proofreader. There are several minor historical inaccuracies, but they are more of omission than commission in that they tell part of the story behind an event, but not all of it. For instance, the original V-16 is described as having been available through the 1937 model year. This is true enough, but there is no mention of the all-new, 135 degree (also an ideal, even firing angle) L-head V-16 that was introduced for 1938 and available through 1940. The appearance of this all-new super engine came as a complete surprise to the industry, but the timing of its introduction was the worst since the market crash of 1929, as the economy suffered a short, sharp recession that year that virtually wiped out what was left of the market for such extravagant automobiles. Only a few more than 500 were sold over the three model years it was available. The overall quality of photographic reproduction is excellent, though the photos tend to be on the small side. I would like to have seen more technical illustrations, either of the “blueprint” variety or some of the fine color cutaways and sectional views found in Cadillac’s sales literature. There is a very nicely done four-page color section, but it is limited to only seven photos. A few more pages of color would have been nice and could have addressed both these admittedly minor issues. Another feature conspicuous by its absence is any tabulation of production statistics. A breakdown by year and model wouldn’t require much space, but it would have added tremendously to the book’s value as a reference tool. The inclusion of chapter source notes, bibliography, and index are proof of the intent for this to be received as a serious scholarly work. The inclusion of historically pertinent production statistics would have made it even more so. At 6 x 9″, it’s a bit on the small side. 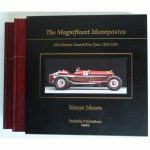 As a standard of comparison, I have in my library a book devoted to another famous V-8 engine that is hardcover, over 250 virtually all-color 11 x 12.25″ pages and is still readily available new for only a few dollars more. It is printed overseas where production costs are known to be significantly lower than in the US, which no doubt explains its competitive price. Up until ten or so years ago, the publisher of this book (McFarland) produced fine hardcovers in this larger size but all their transportation titles since (even reprints of the older books) have switched to this smaller softcover format. Pity! The frequent use of insider professional jargon, abbreviations, and acronyms, particularly in the chapters devoted to the rear wheel drive and supercharged versions of the Northstar is so common as to be bewildering and frustrating to the point where I began to wonder if some of them had real meaning or if the author himself understood what they meant, as very few explanations are offered. At times it seemed to be a perfect example of BSBB, to use an old classic military abbreviation (B.S. Baffles Brains). A Glossary of all the terms used would have added a few pages but would also have made the book much more understandable to the general lay reader as well as making it a more useful reference. The last chapter is devoted to potentially collectible Northstar powered Cadillacs. Some, such as the ’93 Allante, are certainly already collectible, while others may still be too new to call. Discussing as it does the foibles of the Northstar, especially as it accumulates mileage, this may be the most useful chapter in the book to the potential Northstar purchaser. An outstanding engine alone does not make a car collectible and generally desirable, but combine it with aesthetically appealing styling, and the result can often be described as beautiful and therefor potentially collectible. Beauty is in the eye of the beholder, which the author readily admits, and while some of his selections are perhaps arguable, I personally agree with most of them. The fact that all my Northstar Cadillacs are included on this list may have something to do with that, I admit, but it does undeniably affirm my good taste. Overall, I find the book to be very informative, well presented, and, but for all the “alphabet soup” three-letter abbreviations, easily readable and well worth the comparatively modest $30 price. 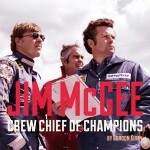 Its greatest shortcoming, in my not so humble opinion, is its availability only in softcover. I personally wouldn’t mind paying a bit more for a much more durable hardcover edition. Copyright 2017, Mark Dwyer (speedreaders.info).